Brunswick's much hyped buildings which constitute Nightingale Village are on show for the first time. The seven constituent buildings designed by differing architecture firms were jointly lodged with City of Moreland during May, and are now available for public viewing. 210 apartments and 8 commercial tenancies are included within the project which has an accumulated delivery cost of $70 million. An exemption in statutory car parking requirements is also sought, in line with the Nightingale model's mantra of including minimal or no car parking. The development which straddles Duckett, Hope and West streets in Brunswick is adjacent to Anstey Railway Station and is formally backed by R & A Michael Investments Pty Ltd. Advisory Hansen Partnership is handling planning duties. The architects involved in the design of Nightingale Village include Architecture Architecture, Austin Maynard Architects, Breathe Architecture, Clare Cousins Architects, Hayball, Kennedy Nolan and WOWOWA Architecture. Whilst some firms such as Hayball and Architecture Architecture are fresh to the Nightingale model, Breathe Architecture are saddling up for their third tilt at a Nightingale design. Nightingale's model is described as "leading a housing revolution in our cities by constructing multi-residential buildings that are financially, socially and environmentally sustainable." Whilst Nightingale projects to date have been solitary designs, Nightingale Village is an attempt to bring mass-scale change to a pocket of Brunswick that has traditionally been dedicated to light industrial uses. Sites surrounding Nightingale Village have been transformed into apartment blocks, although few pay little design attention as to how they reach with the streetscape. As far back as 2015 Urban.com.au highlighted the blossoming apartment precinct surrounding Anstey Station and its failure to adequately address the streetscape. 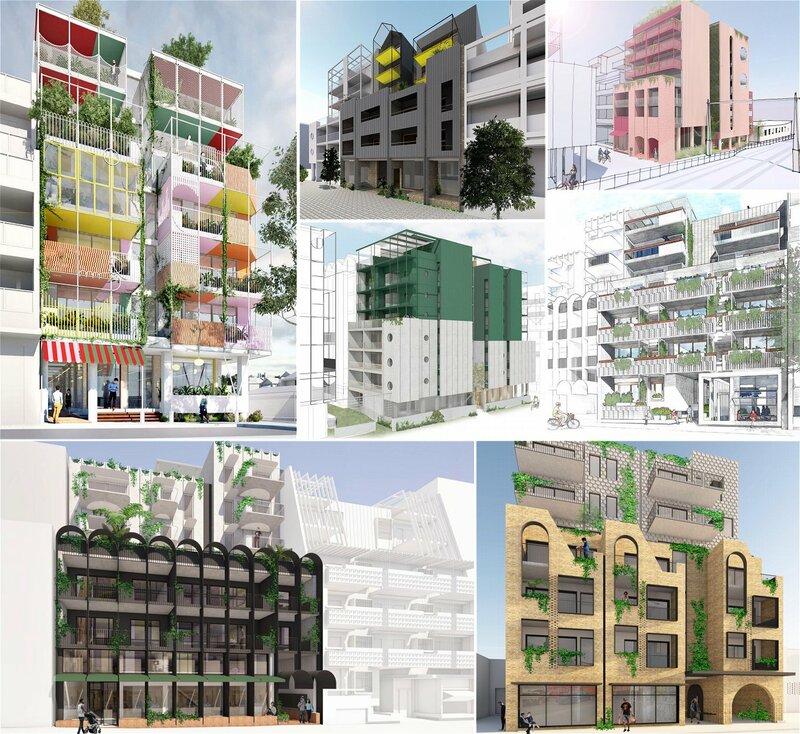 Nightingale Village aims to bring the seven different designs together cohesively at street level. 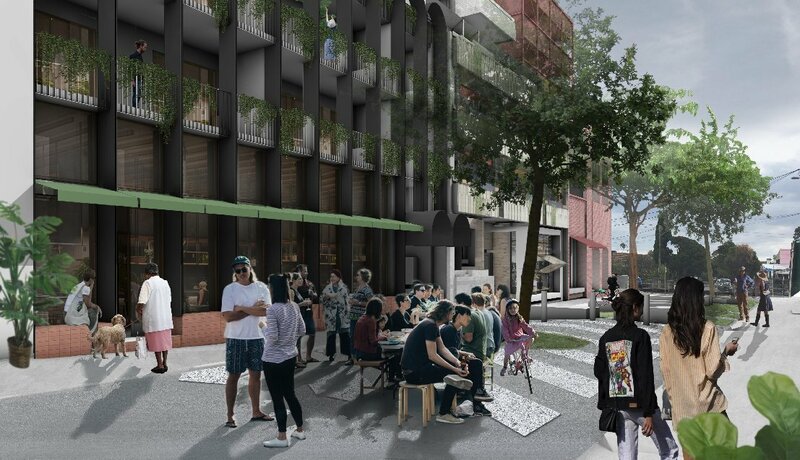 Nightingale's backers describe the designs and wider village as "a chance to change the way housing is built on a wider scale and to create smart, deliberate and liveable density." The overall project is maintaining a tight development timeline, with information evenings for prospective buyers leading into further small group sessions and a targeted town planning approval for late this year. Hayball have noted that subdivisions of the irregularly shaped development plot are also expected later this year, with a purchaser sales night slated for March 2019. Owing to the popularity of the Nightingale model and subsequent waiting list, construction is expected to begin mid next year with an eye toward a late 2020 completion. Nightingale Village Architects Presentations 18.06.18 from Nightingale Housing on Vimeo. Part of their submission to council was a suggestion to council that they could better utilise the near by public car parking space (on the corner of hope st and bresse st) By bringing those spaces within their development, and re-using that space as a public park instead ... Hope Is this part of their existing submisssion !